A special chapter could be written about rock stacking or stone balancing, the activity whereby people balance rocks on top of each other in order to make unusual shapes or formations. They can in some situations be very impressive. However, there are increasingly more arguments coming to light as to why making cairns in the wilderness, national parks and other valuable areas, is inappropriate at best, or at worst, severely damaging. People have been marking their trails by stacking rock into piles for thousands of years. The reason is simple: it’s the easiest accessible material and it can last for ages, literally. 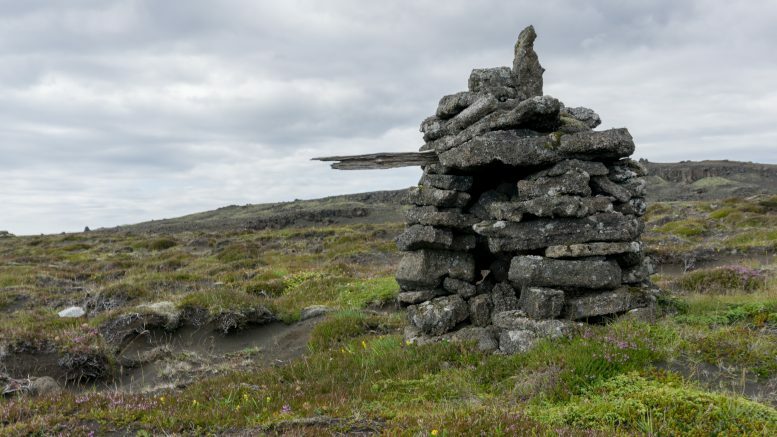 Even now you can find rock cairns all over the world, from the Himalayas to Iceland, and they genuinely can help people with navigation through wilderness. 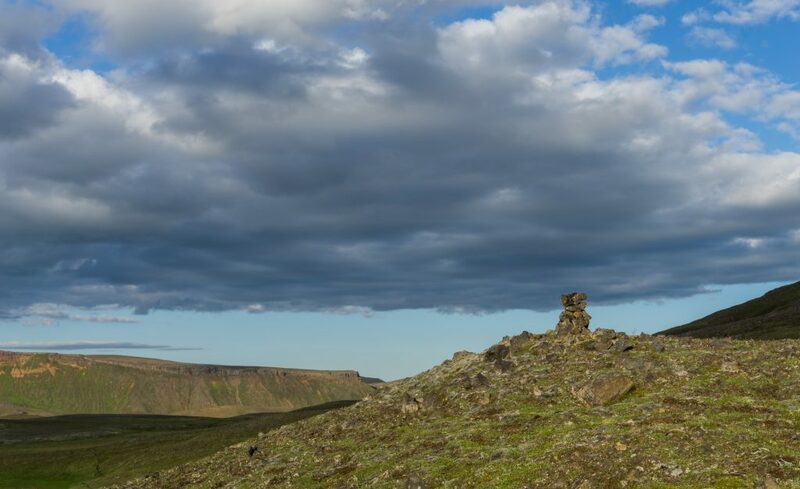 A few months ago, when we hiked in Iceland, some of these rock cairns actually helped us to find our way over a big, otherwise unmarked, area of moorland. In these cases, I believe that rock cairns can be justified. On the other hand, rock cairns made by tourists or anyone who felt like stacking a few rocks on top of one another, are not only confusing for hikers, but also could have environmental impacts which many of these “builders” don’t realize. The ways in which building rock cairns harms the environment are numerous. The removal of rocks can result erosion once previously covered soil becomes exposed and washed away, the habitats of many animals are disturbed by the removal of rocks, and rock cairn construction can result in the interference or halting of processes which have been going on for thousands of years. Geological time is, after all, too slow for the average human to comprehend. This is particularly relevant for places with a lots of tundra or in alpine areas where stones are connected to the soil by the many invisible threads of plants roots, moss and mushroom spawn. Sadly, this is happening in fragile environments such as parts of Iceland, where disrespectful tourists are going as far as carving their names in moss that could be hundreds of years old. 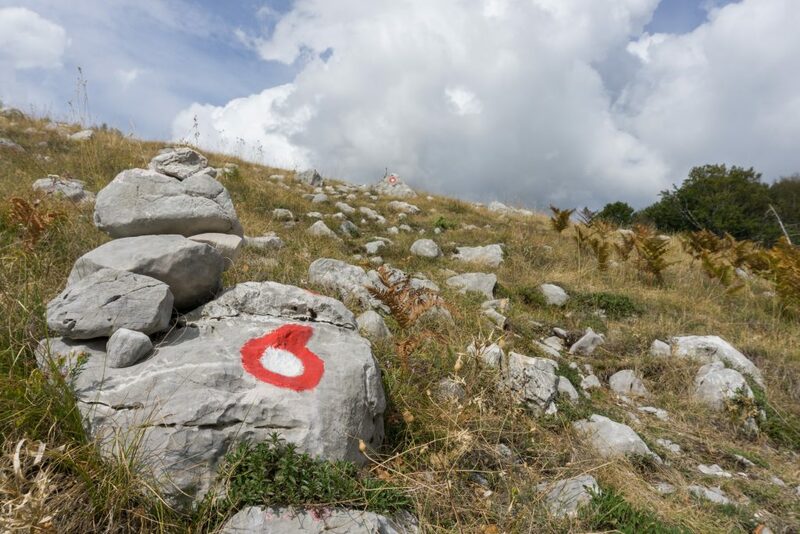 A rock cairn in Montenegro accompanied by a way-mark. Another example is perhaps more concerning. In the Krkonoše Mountains, Czechia, in an upper river basin of the river Elbe, tourists are capable of building hundreds of rock cairns every few days. Once the first rock cairn appears, other people copy. They take stones directly from the river basin where the European bullhead, classified as a vulnerable species in Czechia, spawns. Furthermore, many threatened insect species also lay their eggs underneath river stones. The removal of such river stones destroys any chances of these eggs surviving. Finally, there are the cultural reasons such as the offending of native cultures in Hawaii, and the disturbance of archaeological sites in the UK. In my opinion, one of the most important reasons for not building rock cairns is the direct contradiction of such activities with the Leave no Trace principle. The whole point of wilderness areas is that they are, to a degree, undisturbed by humans, or at the very least, less disturbed than the majority of inhabited places. We visit these places because of their increasing rarity, and to appreciate their naturalness and how they look without human intervention. I just want to enjoy nature in the most undisturbed state possible. Why do humans always feel that they have the right to leave their mark? Why, oh why, can we not just leave it alone? There is a time and a place for balancing rocks on one another. Anna has recently returned from walking the Camino de Santiago de Compostela, possibly one of the most densely rock cairned routes in existence. However, the Camino doesn’t pass through fragile wilderness, and the history of stacking rocks has historical and cultural significance for the pilgrims who previously made shrines out of rocks for various reasons. However, similar practices such as the excessive discarding of personal items and the graffiti carved into trees can not be excused. Similarly, there is simply no excuse for the human arrogance that drives the creation of rock cairns in otherwise untouched areas of nature. It is time for humans for stop leaving their mark. Haven’t we done enough? 2 Comments on "Why Rock Stacking Hurts the Wilderness"
I definitely agree with you. The green energy is important for sure but we should be doing it wisely with long-term, sustainable vision. I’m currently living in Scotland and here it’s wind farms what causes many debates. But I think wind farms are possibly not as destructive to ecosystems as hydro power plants.